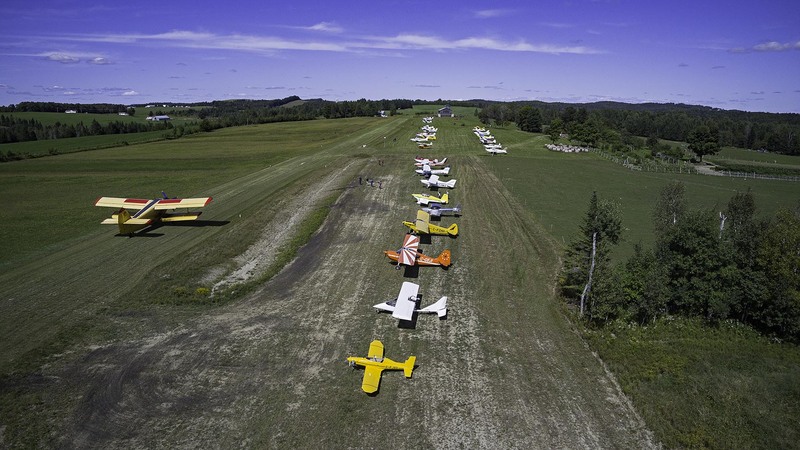 Can you believe it- 60 planes flew in to our fly in Sunday September 9, 2018! One RV flew up from NYC, flew over and back to NYC, as CTQ2 does not yet have CANPASS. Here are some photos. from Nils Jensen showing partially full field of visitors. 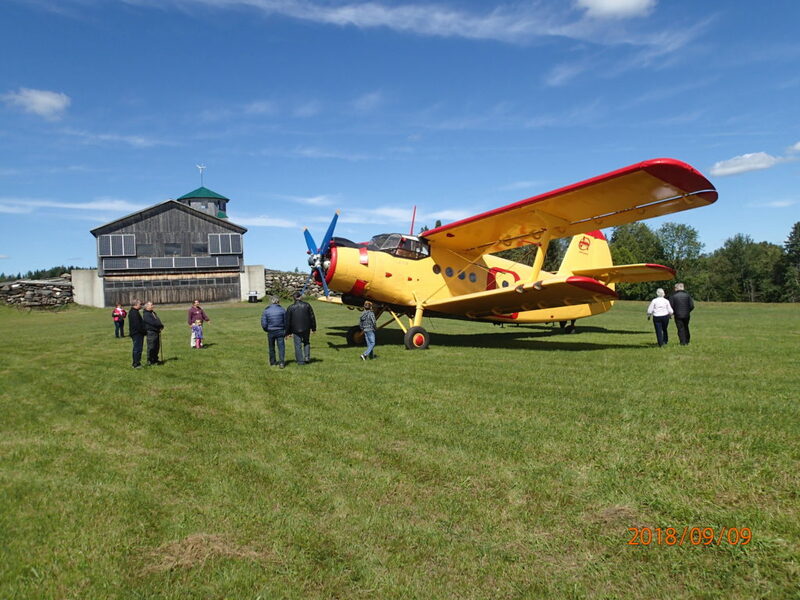 An Antonov AN2 at 1,100HP our largest attendee. Some said that a good flyin has about 25 planes attending and a major flyin has about 50. I wonder how many will come Saturday September 14, 2019 to our next flyin. By deciding to fly in, all pilots agree to accept their own responsibility as there is no insurance. Our nineth annual meeting at CTQ2 (Stanstead Weller 2,600′ of good grass) on Saturday, September 7, 2019. If you wish to stay for the night in a tent under your plane’s wing, you are more than welcome. There will be our grass fed Beefalo hamburgers, potato salad and corn on the cob, all grown on our farm for 20$. You can eat as much corn on the cob as you want. 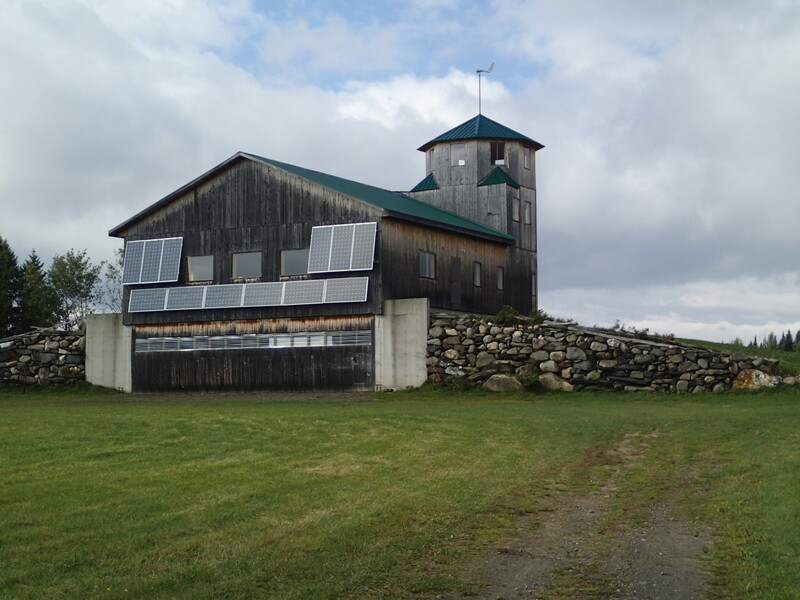 We also have organically grown farm items for sale: sweet cider in season, apple cider vinegar, Golden Retriever puppies, u-pick garden produce(pick, weigh on scale, check price sheet, pay into jar), and orchard with disease resistant apples and pears, trout fishing. Don’t forget our own special variety of potatoes- “Golden Delicious” which are great fixed in all ways. John has finished building a 20’x30′ two level cabin next to one of our ponds. Check it out or call for more information 819-876-2528. You will find all the information for Stanstead/Weller CTQ2 airports in the CFS. We are still trying to get the Canadian CBSA to come give customs clearance for a two hour period from 10am to 12 noon, but not having any luck. This is in spite of the fact I let the RCMP use CTQ2 every week for their patrol of the border, probably saving the Canadian government a thousand dollars in manpower and helicopter time a week. At that rate I have saved the CDN gov’t at least $25,000. so far. It might help if all US pilots sent an email requesting the privilege of flying direct to CTQ2 that Saturday to: Marie-claude.Bibeau.C1A@parl.gc.ca Jacqueline Belleau is her very kind and helpful Office Director. Vous trouverez toute l’information concernant l’aéroport Stanstead/Weller CTQ2 dans le CFS. Ces informations sont à titre indicatif seulement. Il est du devoir de chaque pilote commandant de bord de s’assurer qu’il possède toutes les informations pertinentes nécessaires pour son vol. It is the duty of every pilot in command to ensure that they have all the relevant information required for flight. 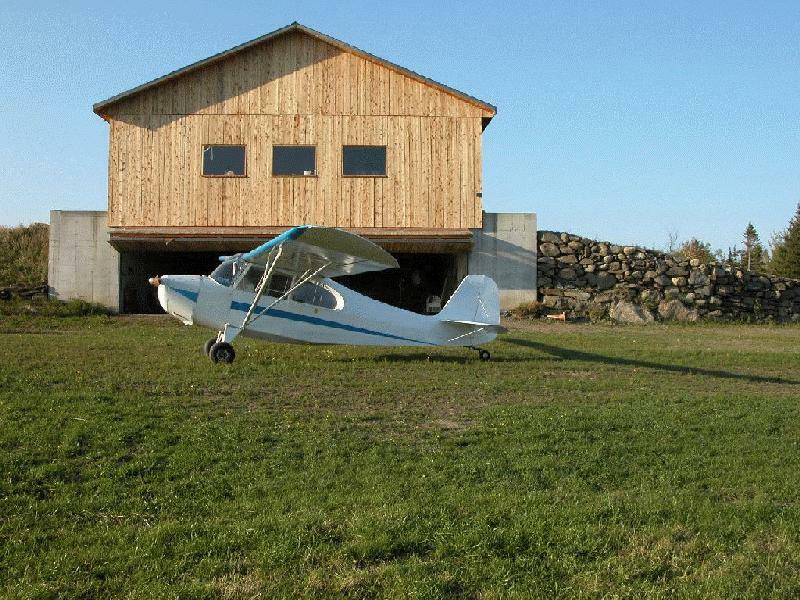 Welcome to our family built, owned and operated airport CTQ2! 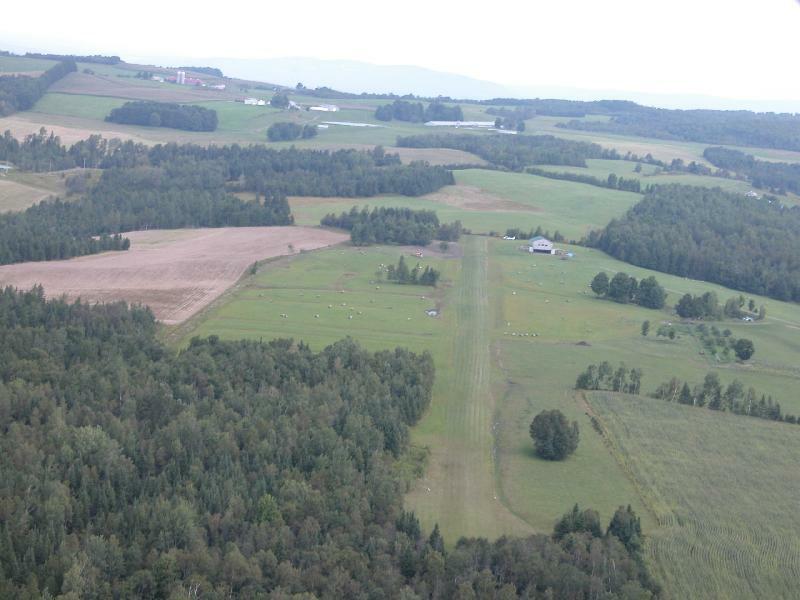 CTQ2 is a good 2,600′ grass runway that we smoothed and widened in 2015 to make for good approaches for even high performance aircrafts, such as our high performance Aerocanard project. Everybody is welcome to fly in, but must agree to assume all risks such as wildlife like deer, moose, ducks and geese, and possibly escaped cows. An airline pilot who has flown in many countries recently told us that CTQ2 is the best small airport, not just in North America, but in the world because of the views, runway, etc. Quite a compliment! Come see, is it is true? The coordinates are: N 45 02 11, W 72 01 61. All are welcome, but must fly in at their own risk. fishing in naturally replenished trout ponds. They have discovered their own safe nursery location. Possibly the only airport in North America where you can fly in and pick up a Golden Retriever puppy along with your organic garden and orchard produce. 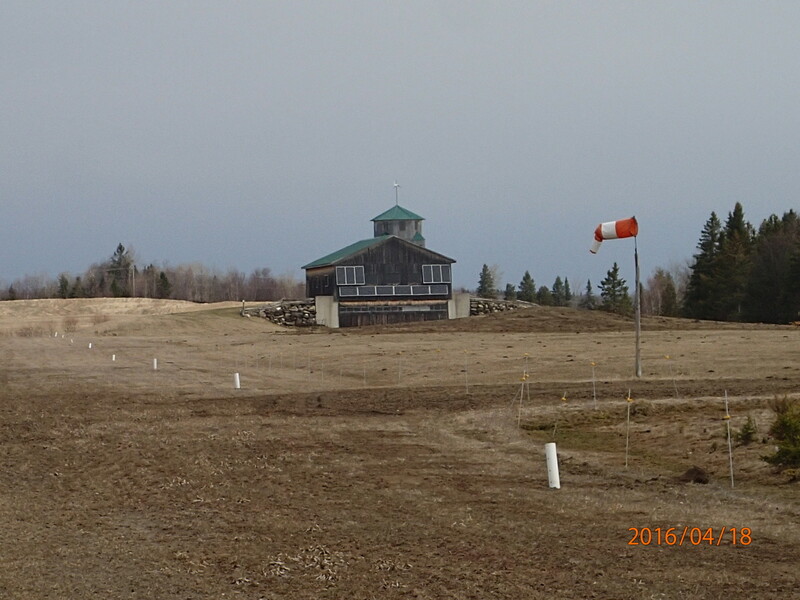 Five major ski slopes within an hour’s drive (Burke, Jay Peak, Owl’s Head, Sutton, and Bromont).